The war in Yemen is simple. Saudi Arabia and its allies are protecting the Arabian Peninsula from occupation by Iran and other terrorist nations. Few actually believe this fantasy though “officially” Morocco, Egypt, Jordan, Sudan, Kuwait, Bahrain, Qatar and the UAE are at war with the Houthi backed “color revolution” that overthrew the Saudi backed Hadi regime. Hadi fled Yemen for Saudi Arabia in March 2015 after a popular uprising sent him “home to mama.”The context here is important in light of what has transpired in Aleppo since the terrorist groups that occupied that city have been expelled. There, we found not only arms from a number of nations, the US is mentioned prominently, but chemical weapons production facilities as well. Why this applies to Yemen isn’t simple but it is also not too complex for the “fake news” to either spin or ignore or for governments to keep from their own people. 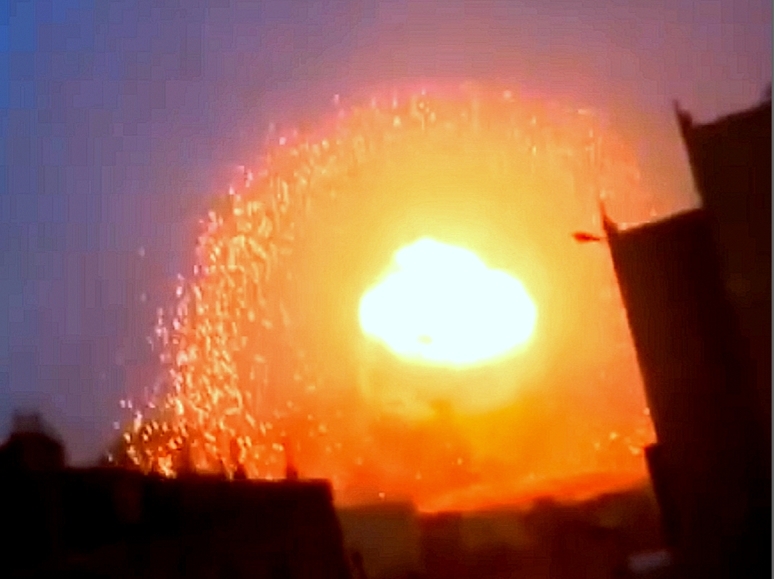 As with Aleppo, Yemen is inundated with evidence of the use of illegal weapons, cluster bombs, chemical munitions, admittedly supplied by the US and Britain. Will Trump apply the “America First” principle to the Israeli regime? Dear Trump: “America First” or Israel First? The answer to that question will make a profound statement about you personally. Sure, Europe has certainly made a categorical error, but what fueled that error? Was the six-trillion dollar war an accident? Or was there a specific entity that actually lit the fire in the region? You see, Trump does not want to go that far because the answer will inexorably lead him to the Israeli regime, which Trump himself has vowed to support. The Syrian war could have ended overnight if serious politicians in Washington has manned up and told the Israeli regime that they would no longer support their essentially Talmudic maneuvering. And here again Trump’s “America First” is a room full of smoke precisely because Trump does not want to criticize or challenge the Israeli regime, the very entity that seeks perpetual wars all over the Middle East. If Trump wants to be “the president of a safe country,” then he has to protect America from a bloodthirsty country that has devoured innocent men, women and children in the Middle East. The money was supposed to be sent to places like the West Bank and Gaza in order to help the largely poor and dehumanized population there. Ari Lieberman of the Neocon magazineFrontPage quickly put out a ridiculous article saying that “Obama sends $221 million to terrorist-funding Palestinian Authority.” David Horowitz, the founder of the same magazine, has just come out and declared that Obama is an anti-Semite. We can ignore people like Lieberman and Horowitz because they will never get to the heart of the issue. The central question that neither Trump nor Lieberman will ever answer in a rational fashion is that we are pouring at least $3 billion every single year to Israel! Is this really helping the “America First” principle? And who’s going to stop that diabolical enterprise? Utrenskning pågår, slik at “rett type” folk kan få overta landet. Mens vi venter får villblomstene være deres gravsteiner, for folket som forsvinner ned i rennesteinene på grunn av okkupantene.